The microchips of the future could assemble themselves like crystals. Traditionally, computer microchips are made of the semiconductor silicon. Silicon is turned into wafers where complex circuitry is carved—but there’s a limit to this complexity and to the chips’ processing capacity, and it’s coming soon. Scientist from IBM are ushering in a revolution of microchip design by seeking to use carbon nanotubes. The researchers theorize that these nanotube chips could use less electricity, and be six to ten times faster than silicon-based ones. 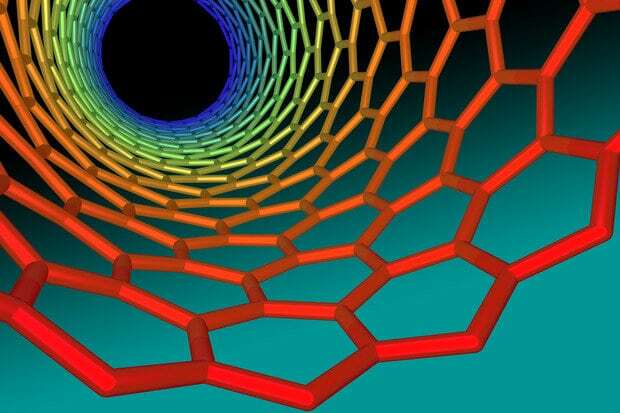 The difficulty with carbon nanotubes is that their tiny size makes them hard to work with—they are basically tiny tubes whose walls are just one carbon atom thick. Unlike with silicon, chip makers can’t carve carbon nanotubes into their intended circuit patterns, nor arrange the tubules one by one. The materials scientists at IBM are addressing this by borrowing a trick from nature. Using chemistry, they developed a method to coax the carbon nanotubes into the desired structures. The developers described it to be similar to how crystals grow. A revolution in microchip technology could bring us more powerful processors that can crunch more data at a better speed, all while consuming less energy. There are efforts from other groups that are also exploring microchip technology using carbon nanotubes, like Stanford University’s N3XT project, and it could only be too soon when carbon nanotube chips replace silicon-based ones. When we harness the power of nanotechnology, we can expect a slew of new capabilities from our gadgets. Such possibilities include injectable microchips that could revolutionize medicine, and bendable computers that could be key to developing futuristic wearable tech.